Books Plus Gloucester will close at 5pm on Thursday 18th April 2019 for the Easter reflections and celebrations, and reopen at 9:30am on Tuesday 23rd April 2019. 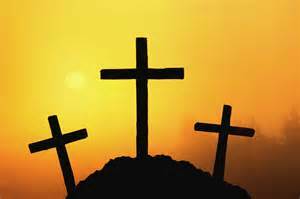 We wish all our customers a joyful and peaceful Easter and thank you for your continued support. A few weeks ago a friend offered me a book called ‘The Warrior’ by Francine Rivers, my friend said ‘it’s good’. That was an understatement. It was so exciting, so full of colour, courage, struggles. It is so difficult to write what I could speak so much more easily. The story is of Caleb, a man with a deep longing, a man with little hope, but a man with great determination. As the story of Caleb unfolds I found myself almost a part of the story. And to my absolute joy, it’s a book that will stir your heart, a book that causes us to consider our own lives. I do hope you will enjoy this book as much as I have. 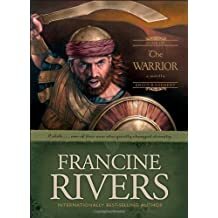 ‘The Warrior’ is book 2 of Francine Rivers ‘Sons of Encouragement’ series. Books Plus Gloucester welcomes customer reviews of Christian books (fiction and non-fiction), music and films, for publication on its website. If you wish to submit a review please email it to gloucester@books-plus.org.uk. A few volunteer opportunities have arisen in our shop in Gloucestershire Royal Hospital. Most of our volunteers join us for half a day a week serving customers, operating our till, marking up products and listening to customers as they share their experiences (often of difficult times). Some also go out to the wards with our trolley service. If you have time to spare and think you might like to help please call 0300 422 8585 to discuss our roles. Why Do We Hold Customer Information? The only customer information we keep is for the purpose of fulfilling the orders you place with us. We retain this information after orders have been fulfilled solely for the purpose of dealing with any queries you may raise concerning orders and payments at a later date. What Customer Information Do We Hold? How Secure Is Your Customer Information? All customer information is held in a hard copy order file with some information stored on our computers for communications via email or letter/invoice. Access to the computer information and the hard copy order file is restricted to the shop management team. The computers are password protected. Both the computers and hard copy order file are held within a locked office when management staff are not present e.g. overnight. How Do We Advertise Our Products and Services? As a business our marketing approach is solely through social media to which you are able to subscribe and unsubscribe under your own control. We do not advertise using email lists or postal mailings so we keep no information from you for that reason. How Can You Check What Information We Hold On You? If you would like to check the information we hold for you, or if you wish to ask us to delete it, then please email us at gloucester@books-plus.org.uk and we will be happy to assist you. You can also discuss your wishes with us on 0300 422 8585. News Items Comments Off on Would You Like To Give Christian Books To A School Or Church Library? Do you read Christian books? Would you like others to have the opportunity to read them? Do you know a school or church that would like to have Christian books to loan to it’s children or congregation? Would you like to give books to that school or church but wonder how to fund it? Then there’s a scheme just for you. * It provides Christian books for schools and churches (plus hospitals, prisons and anywhere else the books can be held and loaned out). * It allows you to select the books you believe would be of most use from an extensive list and gives grants for up to £1,000 of books. * It’s easy to apply and once approved you just provide your list to a Christian bookshop which handles the purchase and delivery for you and invoices the scheme directly. The scheme is called Speaking Volumes and if you need more information just call Books Plus Gloucester on 0300 422 8585 or call into the shop in Gloucester Royal Hospital. If you need to buy the occasional box of candles or communion wafers for your church you’ll probably incur a costly carriage charge by ordering direct. Why not let us do the ordering for you? Not only will you save costly carriage charges but we’ll give you a 10% discount on retail prices. How can we do this? By making a regular monthly order at a level that avoids wholesaler carriage charges. Our orders are made on the first Monday of the calendar month and are available to collect within 7-10 days. So if you want to make savings on your church supplies why not try our ordering service. ** Please note urgent orders that can’t wait for our monthly cycle can still be ordered but may incur a carriage charge. However, you’ll still get our 10% discount on retail prices.